These last few days, the Mindong Diocese on the coast of China's Fujian province has again found itself at the center of international attention. 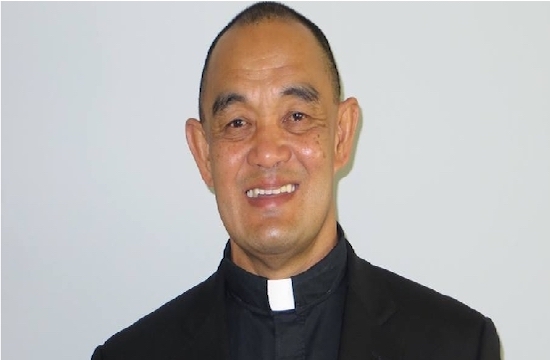 Papal delegates have asked its underground bishop, Vincent Guo Xijin, to serve as the auxiliary bishop of the official, albeit excommunicated, local bishop, Vincent Zhan Silu. 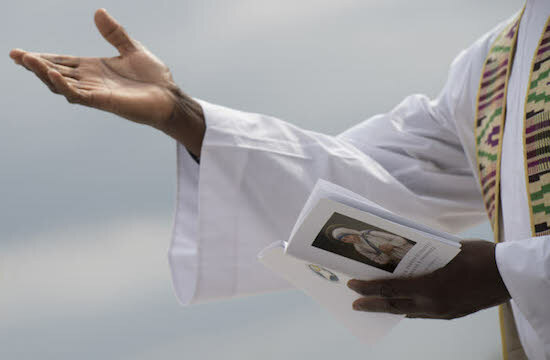 But while much speculation has been made about how the bishops' respective statuses may be revised, very little has been said about their diocese. It certainly has a rich history, ranking as one of the earliest sites of Chinese Catholicism after the Catholic faith was introduced by local elites in the late 16th century (see Ancestors, virgins, & friars: Christianity as a local religion in late Imperial China by Eugenio Menegon in 2009). It is also the birthplace of Gregorius Luo Wenzao, who was ordained in 1654 as the first Chinese Catholic priest, not to mention the home of the first Chinese bishop, who made history a few decades later. And it was there that Chen Zidong rose to prominence in 1650 as the first consecrated virgin in China. Mindong even served as the launch pad for the famous Rites Controversy, a dispute among Catholic missionaries over the religiosity of Confucianism and Chinese rituals that carried on from the 17th century. Moreover, Bishop Francois Pallu, founder of the Paris Foreign Missions, was buried there in the late 17th century until his remains were removed in 1913. As time passed and persecutions came and went, Catholicism became enshrined in those family clans that associated with it. Several lineages, such as the Luo, the Guo and the Jiang became important in the shaping of this local, rural but persecuted form of Catholicism. Today, there are dozens of Catholic sites along the Jiaoxi River and in the mountains of the diocese that attract pilgrims from all of China. Meanwhile, Catholics have worked rigorously to restore the tombs of local bishops from the 18th and 19th centuries, as well as caves where persecuted priests hid and the tombs of martyrs from the Cultural Revolution of 1966-76. The diocese has also witnessed tremendous economic growth and social change that have deeply transformed all sectors of society, including the church. For example, since the 1990s many underground Catholics have moved to larger Chinese cities such as Shenzhen, Guangzhou or Shanghai and started businesses there. Today, there are many well-established entrepreneurs and devoted Catholics in the country. In a similar way to how Cao Nanlai has described Protestant "Boss" Christians in China's Wenzhou (see his 2010 book, Constructing China's Jerusalem Christians, power, and place in contemporary Wenzhou), these entrepreneurial Catholics are indeed committed patriots who support the economic policy of Beijing. Although they hope for a greater state acceptance of their commitment to the Catholic Church, they are proud of what China has achieved. The socio-political positioning of 'unofficial' Catholics is far more diverse and subtle than many reports claim. Therefore, Bishop Guo — a man of peace and dialogue — is at the head of a diverse, dynamic and rapidly evolving 'underground' diocese. The 30 unofficial diocesan priests suffer from a lack of theological and pastoral training while local lifestyles are changing rapidly. Clearly, the diocese faces an urgent challenge to reframe its pastoral care, which was designed for a rural lifestyle that simply does not exist anymore. Nonetheless, Bishop Guo has been able to maintain communion in Mindong, unlike in the nearby diocese of Fuzhou where underground Catholics have split in recent years into two opposing communities. The official side of the diocese has just 10 percent of the total number of local Catholics, but they are no less dynamic. As I reported last October, official Catholics in Fu'an City in Fujian have been very devoted and successful in the creation and expansion of a modern elderly home. The head of the official diocese, Bishop Zhan, a man still excommunicated by the Holy See but occasionally visited by foreign bishops, has been able to negotiate with local authorities on the construction of a new cathedral in Ningde as well as public funding for the project. This impressive cathedral, which faces the sea, will open next year. Some may claim the Chinese state is "buying" local Catholics; if so, the location and size of the cathedral suggests it was prepared to pay a high price to do so. The southern part of the diocese has also seen a growing number of Protestants. Introduced by the Anglican Church in the late 19th century, many small Protestant communities now dot the diocese. One in Luoyuan county is even attracting thousands of young adults and influencing the entire province. This official Christian network is now building a large and costly church financed by private donations. It was designed by a German architect to target wealthy, middle-class people who are interested in buying apartments in new city developments. In conclusion, it would be too simplistic to describe Catholics from Mindong as two static and competing groups caught in a power struggle between the Holy See and Beijing. They have always been more diverse than that, and the rapid transformation of China is pushing them to evolve further. Underground Catholics are not a clan-based group homogenously aggregated behind their bishop. And official Catholics are not simply following the supposedly unified policy of the Chinese Communist Party. For all of them, the relationship to the state is only one of their challenges, and many will say it is not necessarily the biggest. Michel Chambon is a U.S.-based doctoral student who has spent the last two years in China researching for his dissertation on religion in the country.